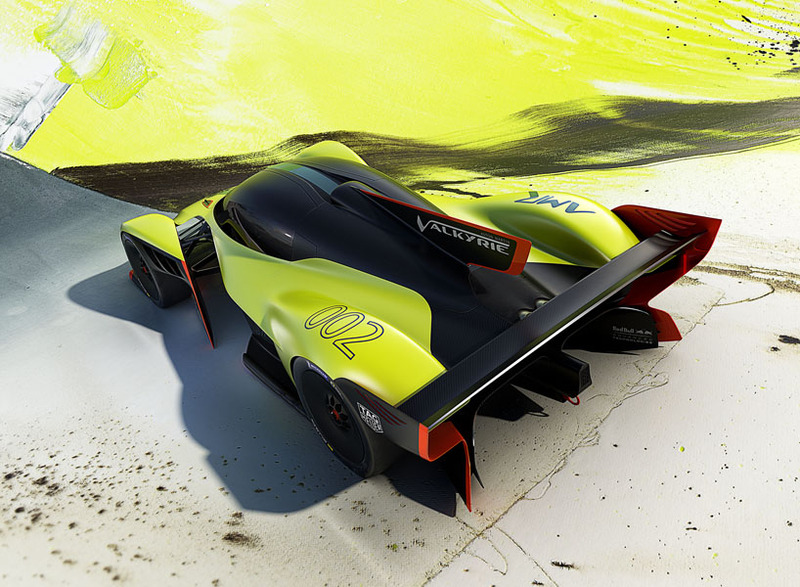 aston martin presents the ‘valkyrie AMR pro’, the track-only evolution of the british marque’s hypercar at the 88th geneva international motor show. 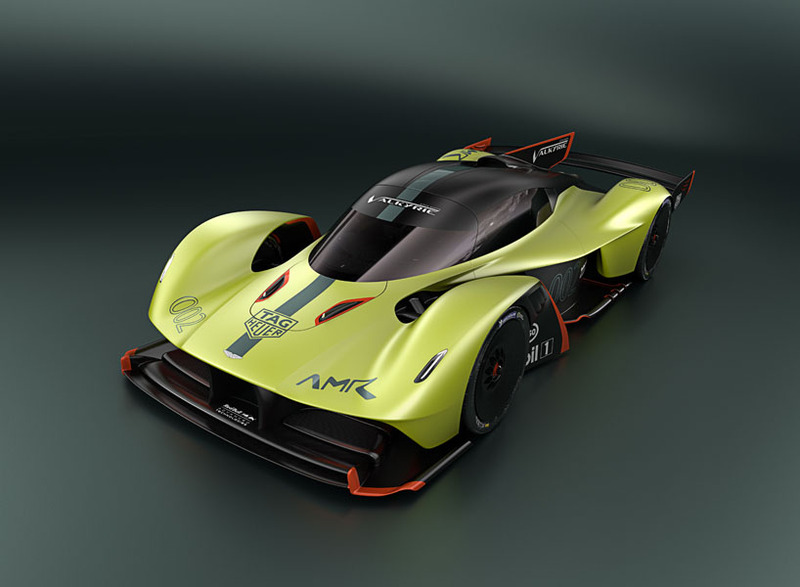 the ‘AMR pro’ version distills the combined knowledge, expertise and aspirations of aston martin+red bull racing to create a car with the performance capabilities of a current le mans ‘LMP1’ prototype or formula one car. 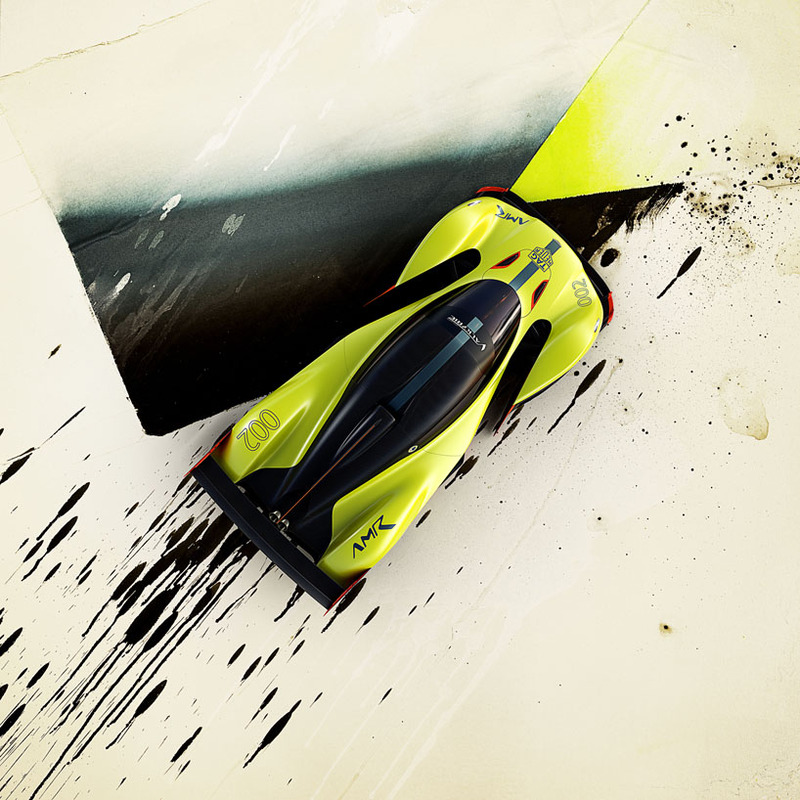 key to the aston martin ‘valkyrie pro’s’ track performance are its lightweight construction and high-downforce aerodynamics – a combination that will result in a car that weighs 1000 kg, yet is capable of generating more than its own weight in downforce. 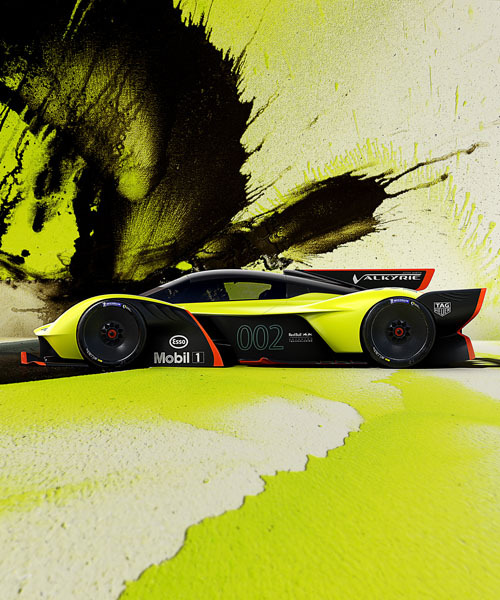 to achieve this remarkable figure all the aston martin valkyrie amr pro’s aerodynamic surfaces have been revised in the pursuit of significantly increased downforce. most obvious changes are wider bodywork and much larger front and rear wing elements, which together with revised active aerodynamic control strategies tailored for the demands of track driving. 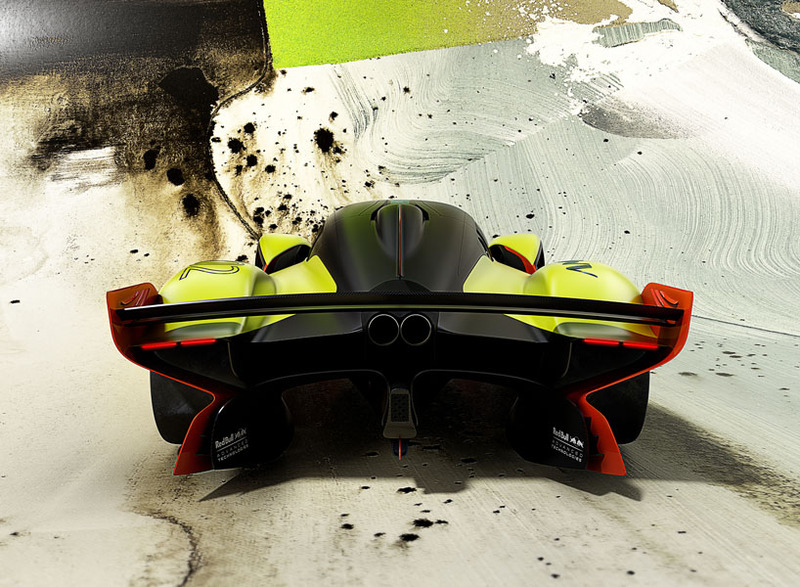 in order to save weight this bodywork uses a lighter construction of carbon fiber. 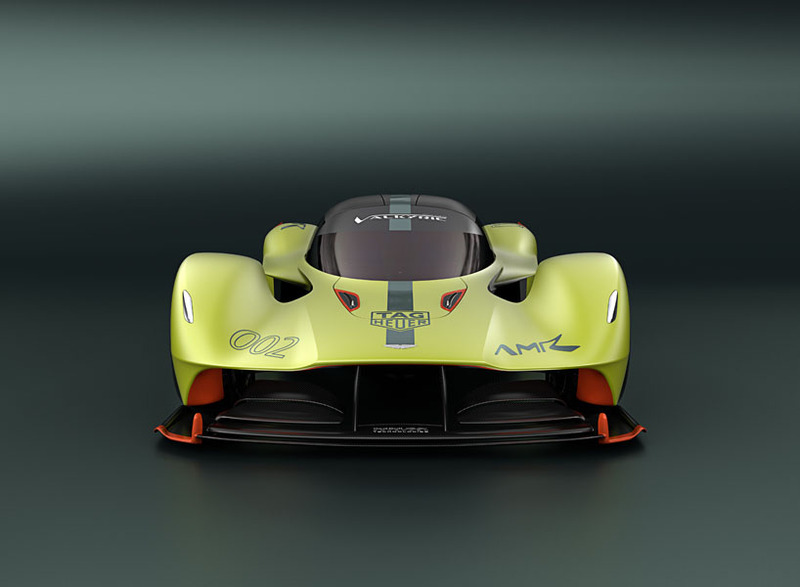 likewise the removal of items such as the heater/de-mister blower and infotainment screens fitted to the road car, and through the fitment of new ultra-lightweight track-specific components such as a polycarbonate windscreen (with heater elements) and side windows, carbon fibre suspension wishbones, moulded race seats and a lighter exhaust system ensure the amr pro hits its 1000 kg weight target. 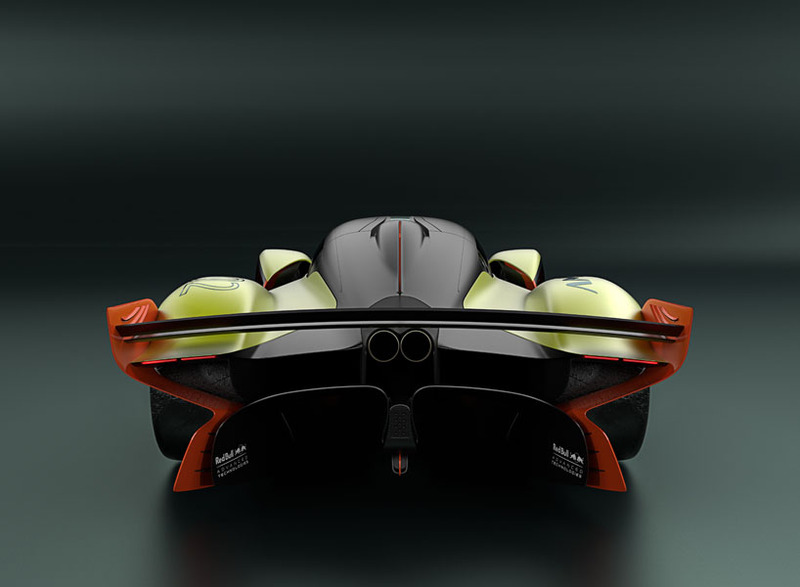 calibration changes to the 6.5 liter naturally-aspirated V12 engine’s emission control systems and re-programming of the energy recovery system control software will result in a combined power output of more than 1100 bhp – more than the ‘valkyrie’ road car and a figure than comfortably exceeds the 1:1 power-to-weight ratio. that’s to say more than 1 bhp to propel every kilogram of mass. 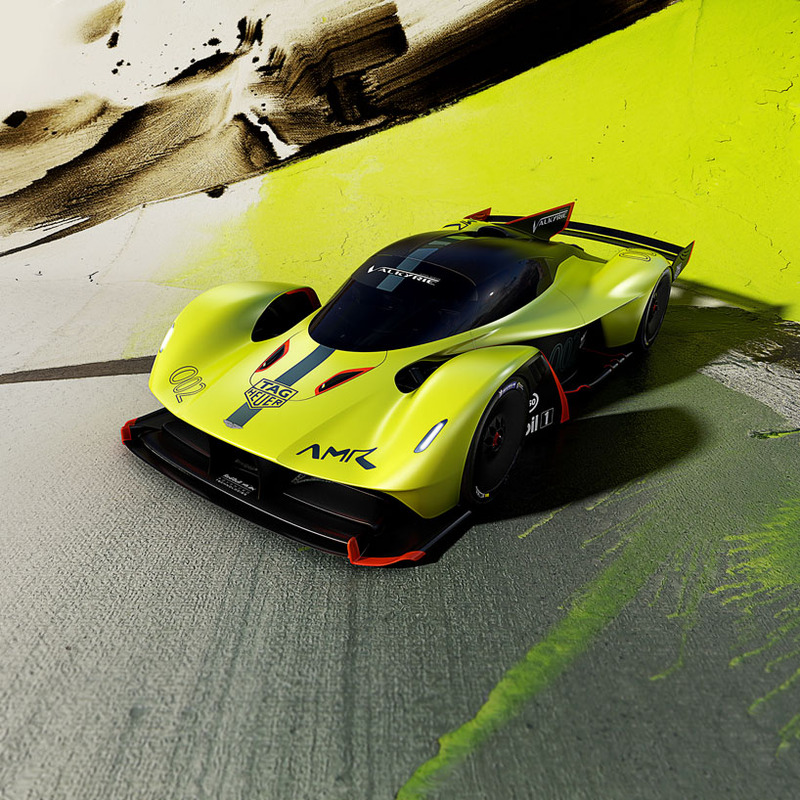 the single-minded pursuit of top speed has never been part of the valkyrie ethos, yet even in high-downforce track configuration the amr pro is still capable of hitting 225 mph. 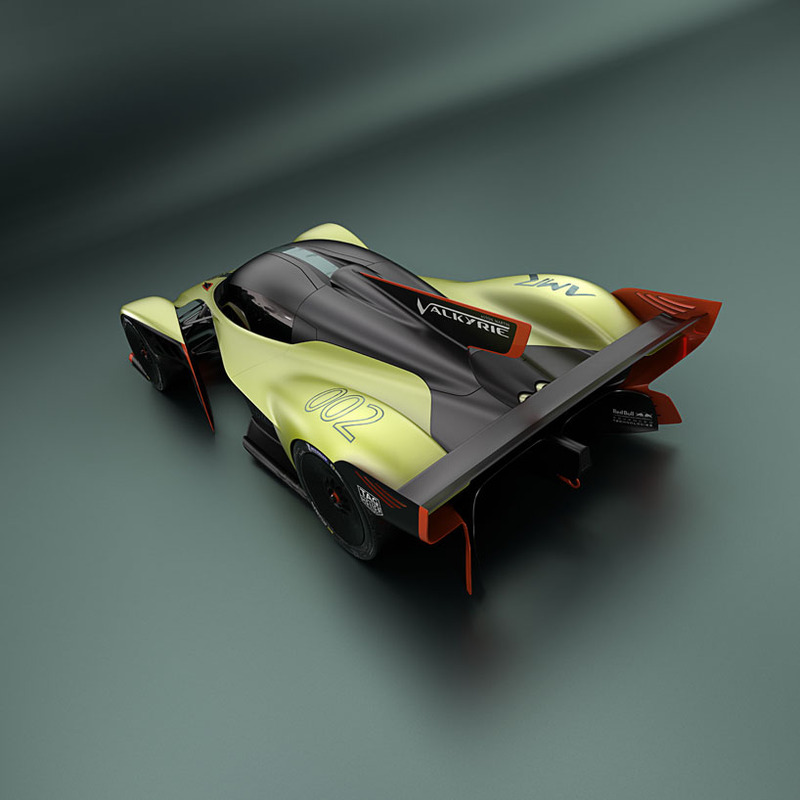 of far greater benefit to lap time is the track-only valkyrie’s ability to achieve lateral acceleration in excess of 3g – a figure far beyond that of any other car derived from a fully homologated road car.